Designed for the promotional products industry, MyPromoSource™ makes quoting fast, easy and accessible. Instant Online Quotes for Clients + Sales Team, Online Supplier Catalogues inc Pricing + Images. MyPromoSouce™ is the fastest web based quoting solution on the market. Quote with ease and complete confidence from your desktop, laptop or mobile device. Offering a quick, easy solution for both clients and your internal sales team, generate your Quote as a PDF document in a matter of seconds. Fully functional administration interface that allows you to take control of your website content. Here you can view, edit, add suppliers, clients, decorations, products and content. Add new clients manually using the administration interface or clients can register themselves quickly and easily. Receive alerts when a client generates a quote and assign customised discount grades to specific clients to ensure they quote the best price possible. Use the simple WYSIWYG editor to create professional content pages. 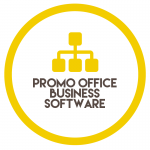 Learn about Promo Office integration and job management features.